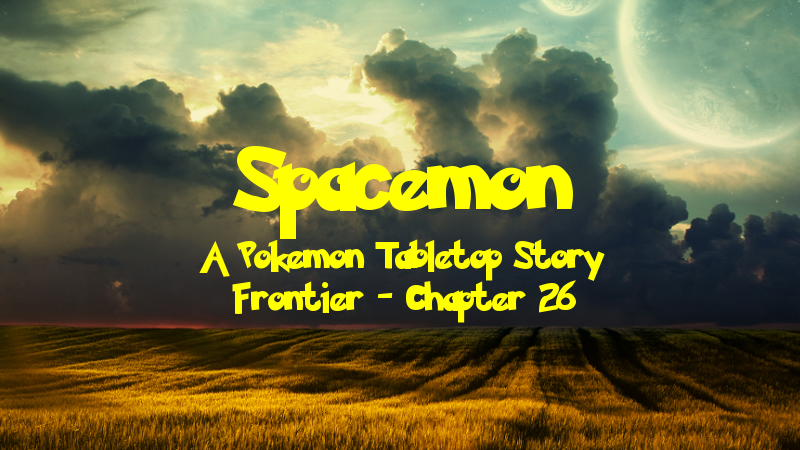 Spacemon: Frontier - Chapter 26: Frightening Phantoms of Fura! “You sure you don’t want to join us?” Axel asked as the UAS Maverick approached the space station in the Fura system containing the Sector 33 Pokemon gym. “What about you, Captain?” Axel asked, turning to look at Cyrus. “Well, aren’t you special,” Axel said. “Why yes, I am,” Cyrus said, flashing a cheeky grin. “This just means more prize money for the three of us,” Gaster chimed in, motioning at Axel, Taraka and himself. Axel strode confidently down the dimly lit corridor of the station, flanked by Gaster and Taraka. He was looking forward to challenging the gym leader. Ritsu had only been a Charmander during the mercenary’s last gym challenge and now that she was a full grown Charizard he was eager to see how she would fare in a battle with a tough trainer such as a gym leader. Whoever this guy was, Axel was sure Ritsu would be more than a match for him. At the end of the corridor, the trio was greeted with a large doorway, which opened for them as they approached, casting light into the dark chamber on the other side. Once they stepped through, the doors slid shut behind them. As his eyes began to adjust to the darkness, Axel gazed around. He and his crewmates stood in a big open chamber at the center of the station. It was completely dark save for the light of four torches along the outer walls and one more on a raised platform at the center, giving the entire chamber a spooky atmosphere. With his companions behind him, Axel took a step toward the platform. As they approached, a man who was sat cross-legged on the platform, stood up to greet them. He had shaggy blonde hair of a ghostly pale shade and was dressed all in black with the exception of a long, flowing purple and red scarf. “Hey there, ghost gym leader guy,” Axel said, taking another step forward. “Are you here for a challenge?” the man asked in a low but smooth voice that seemed just the slightest bit creepy to Axel. “I don’t know. I’m just following these two guys,” Gaster answered, nodding his head at Axel and Taraka. “A break from almost dying, more like,” Taraka said. “I suppose it’s ironic that we came to a ghost type gym to do it,” Taraka said. “You got it,” Axel said, stepping back in line with his crewmates. He then reached for Ritsu’s Pokeball and sent her out. The others followed his example, Gaster sending out his newly caught Houndoom and Taraka his Togekiss. “Your Pokemon look strong,” Adrian said. “But let’s see how they fare against my ghosts.” The gym leader snapped his fingers and a Gengar appeared from nowhere. “Shadow, use Toxic!” he commanded the ghostly Pokemon as he pointed at Taraka’s Togekiss. Floating up to its target, the Gengar unleashed a cloud of noxious fumes, which enveloped the Togekiss and left her poisoned. “Now, Ghost Step!” Adrian commanded. Just as quickly as it appeared, the Gengar faded away. “What’s the matter, afraid to fight us directly? !” Axel shouted. 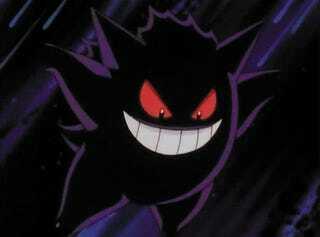 “My ghost Pokemon are just doing what they do best,” Adrian said, that mischievous grin still on his face. “Don’t worry about that,” Taraka said. “I’ve got a plan to draw them out from hiding.” The monk pulled out a thin strip of paper with a strange script written upon it and set it alight with a small red ball of psionic energy. As it burnt to ash, three ghost Pokemon faded into view: a Dusknoir lurking just behind Axel’s Charizard, a Banette sneaking up on Gaster’s Houndoom, and a Cofagrigus hanging back near the gym leader himself. “Wait … where’s that Gengar?” Axel asked. “Not if they’re using my special Ghost Step technique!” Adrian proclaimed. “What?! That’s not fair!” Axel shouted angrily. “Ritsu, use Flamethrower!” The mercenary’s Charizard whipped around and sprayed flames at the Dusknoir creeping up on her, but it was one step ahead of her and maneuvered out of the way. “You too, Lilith!” Gaster shouted. “Use Ember on that Dusknoir!” The former smuggler’s Houndoom ran up into the fray and spit her own flames at Adrian’s Dusknoir, but it avoided those as well. “You’ll need to do better than that!” Adrian taunted. “Wraith, use Thunder Punch!” The gym leader’s Dusknoir clenched its ghostly hand into a fist as it began to spark with electrical energy. It then took a swing at Ritsu, landing a mighty blow. The attack, however, also left the Dusknoir burned. “Ritsu’s got a few tricks up her sleeve too!” Axel shouted. “I can assure you, we have far more,” Adrian replied. “Wight, use your Voodoo Doll ability to Curse Charizard and Houndoom!” Summoning pins out of thin air, the gym leader’s Banette jabbed them into itself. As the pins pressed into the Banette’s phantasmal form, ghostly energy began to swirl around Ritsu and Lilith. “Now, consume your sitrus berry, then Ghost Step!” A wicked grin on its face, the Banette popped a berry into its mouth, then vanished just as the Gengar had. Adrian then shifted focus to his Cofagrigus. “Mummy, use Toxic Spikes, then Ghost Step!” he commanded. His Pokemon sprayed out a bunch of poisonous caltrops in a line bisecting the arena, then joined the others in fading away. Now, only Adrian’s Dusknoir remained on the field, but only for a brief moment. 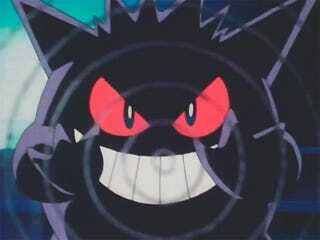 The gym leader’s Gengar suddenly reappeared, ready to strike. “Shadow, use Hex on that Togekiss!” Adrian ordered the ghostly Pokemon. Heeding its trainer’s command, the Gengar unleashed a blast of ghostly energy on Taraka’s Pokemon, exploiting the fact that it had already poisoned her. While Sirius survived the hit, Taraka seemed concerned about keeping her out. As his crewmate recalled the Togekiss to her Pokeball, Axel ordered his own Pokemon to attack. “Ritsu, use Fire Fang on that Dusknoir!” The mercenary’s Charizard lunged at her target, snapping at it with flaming jaws and landing a hit this time. “Lilith, come in behind and Bite it!” Gaster followed up with a command of his own. His Houndoom moved in for the attack, but the Dusknoir evaded once more. “You’ll certainly fit in with us the way your Pokemon is missing,” Axel grunted out a laugh. “I guess I’m just inheriting your bad luck,” the former smuggler quipped back. The pair’s banter was cut short, however, when Adrian’s Banette reappeared. “Get it, Ritsu!” Axel shouted. “Not so fast! Wight, use Phantom Force!” Adrian responded. Just as quickly as it had appeared, his Banette was gone, the Charizard’s flames engulfing the space it once occupied. 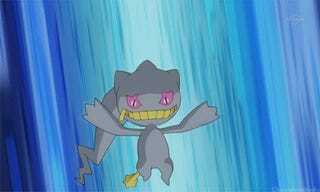 “Now, Wraith, use Shadow Punch!” Adrian commanded his Dusknoir, seizing upon the distraction his Banette had caused. Striking with its shadowy fist, the gym leader’s Pokemon landed a direct hit. Despite the powerful blow, Ritsu still had some fight left in her. “You’re gonna need to do more than that to bring Ritsu down!” Axell shouted. “If you insist,” Adrian replied, flashing that devious grin again. “Wraith, use the Vampirism technique!” Without removing its fist from Ritsu, the Dusknoir drained away the last of the Charizard’s energy, bringing her down. “Special techniques? More like dirty fighting,” Axel grumbled under his breath as he recalled his fainted Pokemon. As Axel reached for his next Pokeball, Adrian’s Cofagrigus reappeared. “Mummy, use Ominous Wind on that Houndoom!” the gym leader commanded the Pokemon. The lid of the Cofagrigus’s coffin slid open a bit more and a rush of stale air flew out at Gaster’s Pokemon, but the Houndoom managed to evade. “Alright, Taiga, you’re up next,” Axel said, sending out his Sneasel. “You too, Roma,” Taraka said, finally releasing his next Pokemon. “This should be fun,” Adrian said at the sight of the newly sent out Pokemon. “Shadow, put that Tangrowth to sleep! Hypnosis!” Floating over to Roma, the gym leader’s Gengar stared her down with a hypnotic look in its eye, sending the Tangrowth into a deep sleep. “That could be a problem,” Axel said to his crewmates. “Right,” Axel said, nodding at his crewmate. “Taiga, use Faint Attack on that Dusknoir!” The mercenary’s Sneasel darted toward her target, claws bared. She struck fast and true, but the Dusknoir seemed unfazed despite the type advantage. “Wraith, strike back with Thunder Punch!” Adrian commanded his Dusknoir in response. Fist sparking with electricity, his Pokemon took a swing at Taiga, but she nimbly evaded the attack, hopping back just in time. Adrian then shifted his focus elsewhere, trying to keep control of the field. “Now is the time to strike, Wight!” he called out. “Hit that Houndoom!” Suddenly reappearing just behind Gaster’s Pokemon, the gym leader’s Banette swiped at her with conjured phantasmal claws. “Lilith, use Bite!” Gaster responded quickly. His Houndoom quickly sank her fangs in to counterattack, undoing the progress the Banette had made in healing itself. “Shadow, use Spite!” Adrian shouted. “Take care of that pesky move.” From across the arena, his Gengar sent out a burst of ghostly energy that caused Gaster’s Pokemon to wimper with fright. “As for you, Mummy, double up those spikes!” the gym leader then ordered his Cofagrigus. Happy to oblige, the Pokemon spewed out more caltrops on top of the line of them it had already placed. As this occurred, Gaster took the time to recall his injured and cursed Houndoom and send out his Krokorok instead. “A smart move,” Adrian commented. “But I’ve got plenty more curses for you. Wight, refresh yourself and use your Voodoo Doll ability again! Curse Sneasel and Krokorok!” Glowing with ghostly energy, the gym leader’s Banette conjured two more pins, which it jabbed into itself to inflict curses upon Axel’s and Gaster’s Pokemon. “And something for Tangrowth too,” Adrian then said. “Shadow, use Nightmare!” With a wicked grin on its face, the gym leader’s Gengar enveloped the sleeping Roma in shadowy energy. Immediately, the Tangrowth began tossing and turning in her sleep. “Come on, Roma, wake up!” Taraka called out. Sure enough, the monk’s words got through to his Pokemon and she shook herself awake. “Good, now use Shadow Punch!” Swiping with one of her vine arms, Roma knocked Adrian’s Gengar back, doing a real number on it. “How unexpected,” Adrian commented, looking Taraka’s Pokemon over. “Roma’s a special ghost type Tangrowth,” Taraka told the gym leader, noticing the inquisitive look on his face. “Dodge and use Thunder Punch!” Adrian issued a counter command to his Pokemon. As Axel’s Sneasel came in for her attack, his Dusknoir floated out of the way, then struck with another electrified fist. Combined with the curse inflicted upon her, the hit left Taiga in pretty rough shape. Axel knew she could muster one last attack, however. “Let’s see you dodge this!” the mercenary shouted at Adrian. “Taiga, use Faint Attack!” Ripping through the gym leader’s Dusknoir with razor sharp claws, Axel’s Sneasel struck fast and true, bringing the ghostly Pokemon down. Taiga then succumbed to the curse, collapsing where she stood. “Heh, not bad,” Adrian said as he recalled his fainted Pokemon. Then, without missing a beat, the gym leader barked out orders at his other Pokemon. “Now, Mummy, Ominous Wind! Shadow, Sludge Bomb! Target that Tangrowth!” His Cofagrigus and Gengar moved in on Roma to attack. Taraka’s Tangrowth took the first hit dead on, but she managed to avoid the second. Meanwhile, Gaster was keeping the pressure on Adrian’s Banette. “Jimothy, use Crunch!” the former smuggler commanded his Krokorok. With his Powerful jaws, Gaster’s Pokemon bit down on his target, finishing it off. Adrian and his Pokemon still had some tricks up their sleeves, however. “Wight, unleash your curses!” With a spiteful look on its face, the Banette let loose a tide of ghostly energy before fading away. The phantasmal energies then formed into long, shadowy strands that began to swirl around Jimothy and Roma. “Hang in there, Roma,” Taraka encouraged his Pokemon. “Use Vine Whip on that Cofagrigus! Drag it over the spikes!” Heeding the monk’s command, Roma reached out with her vine arms, striking the Cofagrigus with them, then wrapping them around it. She then proceeded to pull it down into the spikes it had thrown out on the ground, though that did not seem to have much of an affect on it. “You won’t be doing that again,” Adrian said calmly. “Mummy, use Spite!” His Cofagrigus let out a burst of ghostly energy that forced Roma to release it. It then quickly floated back and away. “Now, throw out more spikes and surround it with the Shell Game technique!” As it moved back, Adrian’s Pokemon threw more poisonous caltrops around Taraka’s tangrowth. Then, with its many shadowy arms, it gathered up the spikes it had thrown previously and sprayed them at Roma, completely boxing her in. “I’ve had enough of this,” Axel said, sending out Mugi. 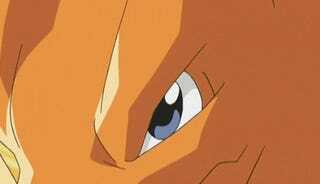 “Use Fire Spin on that Cofagrigus!” the mercenary commanded his Ninetales. She obliged and spit out a spiraling vortex of flames, but it spun out of control and Adrian’s Pokemon was easily able to evade it. “You’ll need to do better,” Adrian tauned. “Shadow, use Hypnosis! Put that Tangrowth back to sleep!” With another hypnotic flash of the Gengar’s eyes, Roma was put back to sleep,, evening it back to a two-on-two matchup. “Jimothy, use Swagger!” Gaster then commanded his own Pokemon. His Krokorok let out some taunting growls at Adrian’s Pokemon, but they didn’t achieve the desired effect. “Mummy, counterattack with Hex!” Adrian ordered his Cofagrigus in response. Taking advantage of the curse upon Jimothy, the gym leader’s Pokemon unleashed a devastating blast of ghostly energy. Luckily, as a dark type Pokemon, the Krokorok resisted the attack, allowing him to keep fighting. “You’re up, Shadow! Dream Eater!” Floating over the spikes surrounding Roma, Adrian’s Gengar got in close to the Tangrowth and sapped away the last of her strength as she slept. Feeding off this energy, the gym leader’s Pokemon revitalized itself. “Jimothy, use Torment on the Cofagrigus!” Gaster commanded his Krokorok as Taraka recalled his fainted Pokemon. The sand-dwelling reptile let out another taunting growl and gestured at Adrian’s Cofagrigus, capturing its attention. This gave Axel the opportunity he needed and he quickly pounced on it. “Mugi, use Ember!” The mercenary commanded his Ninetales. Unleashing a lick of flames, Mugi did a pretty solid number on the Cofagrigus, but it was a tough Pokemon. It also had some devious tricks in store. With a menacing flash of its eyes, it left Mugi dazed. “Now, strike back with Ominous Wind!” Adrian ordered. It unleashed another rush of stale air from within its coffin, but Axel’s Ninetales snapped back to attention and managed to dodge to the side just in time. “You’re up, Fels Vogel,” Taraka said, releasing his Aerodactyl. This was the first time Axel had seen him use the fearsome Pokemon, but he was glad he had brought it along. He knew it could do some real damage. “Use Rock Slide on that Gengar!” the monk commanded the Pokemon. “Dodge and use Toxic!” Adrian called out in response. Adeptly maneuvering between the incoming rocks, his Gengar got in close and released a burst of toxic fumes, poisoning the Aerodactyl. Unleashing their joint attack, Axel’s and Gaster’s Pokemon trapped Adrian’s Cofagrigus in a swirling vortex of sand of fire. As the violent storm of flames, sand, and molten glass whipped around it, the Cafogrigus began to wear down. Unfortunately, the attack also took the last of Jimothy’s strength. Succumbing to the curse upon him, the Krokorok collapsed. “Hold steady,” Adrian told his Pokemon as the violent storm spun around it. “Target that Aerodactyl with Night Shade!” Out from the deadly vortex, a blast of spectral energy flew forth, striking Taraka’s Pokemon to devastating effect. Axel knew that the Cofagrigus couldn’t hold out much longer, but it was still a threat as long as it remained on the battlefield. Mugi, however, wasn’t going to be the one to finish it off. Whatever the Cofagrigus had done to her was starting to really take effect, so he decided to recall her instead. “Your turn, Ryner,” Axel said as he sent out his Alakazam. “You too, Clara,” Gaster said, recalling his fainted Pokemon and sending out his Shuppet. “Fels, get in there and Crunch it!” Taraka shouted. As Adrian’s Gegar blasted him with sludge, the Aerodactyl pressed forward, flying in close to attack. Snapping at the poisonous ghost with his powerful jaws, Taraka’s Pokemon delivered a nasty blow. However, the Gengar did not seem to be showing signs of wearing out. If only it hadn’t healed itself, Axel thought. “Alright, Clara, use Shadow Sneak on that Cofagrigus,” Gaster ordered his Shuppet as Axel thought over his next move. Heeding her trainer’s command, Clara flew in close to attack. However, the Cofagrigus fell to the vortex of burning sand surrounding it before she got in range. “Unleash your final curses!” Adrian called out as his Pokemon fell to the ground. Suddenly, a storm of ghostly shadows rushed out from within the dormant coffin, enveloping Gaster’s Shuppet and Taraka’s Aerodactyl. “And then there was one,” the gym leader said. He recalled his fainted Pokemon and turned to his Gagar. “Shadow, use Hex! Take out that Aerodactyl!” His final Pokemon unleashed her attack, but Fels Vogel fought through. “Come on, Fels, take it down,” Taraka said. “Rock Slide!” With a fierce screeching roar, the Aerodactyl launched several rocks at the Gengar before collapsing to the ground, overtaken by the curse upon it. “Clara, use Night Shade!” Gaster commanded. 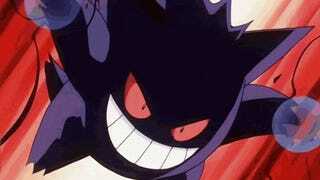 With one last joint attack, Axel’s Alakazam and Gaster’s Shuppet brought the Gengar down. The battle was won. “Well you’re the most annoying gym leader that we’ve fought in a very long time,” Taraka said, getting a laugh out of Gaster. “You’re the only gym leader I’ve fought, so …” The former smuggler, trailed off into a chuckle as he recalled his Shuppet. “Yeah, that’s why I said ‘in a long time,’” Taraka said. “Every tough fight is annoying,” Adrian said, that same grin on his face again. Notes: Whew, this was a tough one to write. I’m glad it’s done. This was a fun session. I always have fun with gym battles, though. Even though we had a ghost gym in the original campaign, I got ghost for the type for the gym when I randomly rolled for it a while before this session and decided to roll with it since I wanted to try my own hand at a ghost gym. The party had been planning to hit up the gym for a while, but due to roster changes and people missing sessions, it took time to finally happen. I actually didn’t have a name for the gym leader at the time, only coming up with it later, and I shamelessly based him off Morty, the ghost gym leader from Silver and Gold, at least appearance-wise. It was hard to find art for his token in Roll20 that I really liked (on short notice, because I never got around to it until before the session despite week of prep time being available to me), so that’s why I settled for art of Morty. As for his Pokemon names, thanks to DragonStorm for suggesting using different types of D&D undead as a naming scheme. I tried to pick ones that made sense for each Pokemon. As for the fight itself, it taught me that I have to be very literal with all my explanations to the party because Novi and Axel get salty easily with these types of fights. Axel especially. He got so salty that again he got to the point of wanting to attack the gym leader. They definitely weren’t fans of what I was doing with Ghost Ace and Trickster. unknown didn’t mind too much though. He even shares a class with Adrian, so maybe he felt some camaraderie. A fun fact about this session: I kept track of the in-game date throughout the campaign on the Spacemon timeline document I have and, completely unplanned by me, this gym battle fell on Halloween in the game. Funny how that worked out. Post-Chapter Challenge: We’ve done design a gym for one of these challenges during the original campaign, but what about the gym leaders themselves? They’re more than just tough trainers; they’re characters too. Your challenge today is to come up with a gym leader in the Spacemon universe. Who are they? How did they become to be a gym leader? What type of Pokemon do they use and why? Which Pokemon do they use? What are they like as a person? What type of role might they have in a story set in this universe beyond simply being a gym leader? I can’t wait to see what you come up with! Spacemon: Frontier - Chapter 27: Forests and Flames!